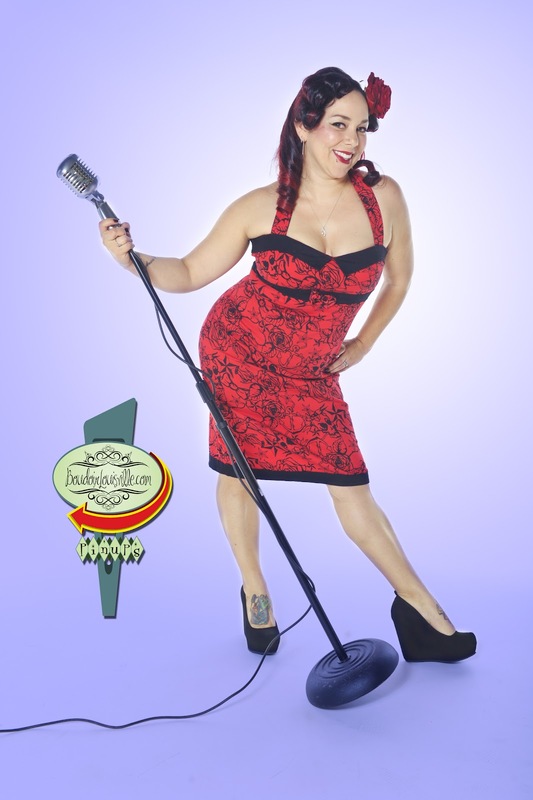 Louisville Boudoir and Pinup Photographers: Boudoir AND Pinup in the same photo shoot! Boudoir AND Pinup in the same photo shoot! We get asked all the time if a client can shoot both boudoir and pinup styles during their photo shoot with Boudoir Louisville. Well, why the hell not? We do it all the time! We love using pinup styled vintage hair and makeup for our boudoir sessions. Sara was a huge fan of pinup, so we gave her a great pinup inspired hair and makeup look before snapping a few cheesecake pinups. When we were finished with the fun and flirty pinups, we moved right into shooting boudoir. The hair and makeup looked fantastic for both! Bring it girls, we will shoot it!